Here at Total 911, we’ve long been fascinated by the rare and wonderful Porsche 911s that has been created by Porsche Exclusive. Cars such as the 911 Turbo SE and LE, the flatnosed 964 Turbo 3.6S, 993 Turbo Cabriolet, 964 Speedster, 964 Turbo S lightweight and, more recently, the 997 Sport Classic and 997 Speedster. These are cars that elevate otherwise production Porsches to another level of desirability and rarity. Until the launch of the aforementioned, Sport Classic and Speedster, Porsche Exclusive had not, for many years, produced any specific models, but had rather ‘customised’ otherwise regular Porsches, by giving customers an almost free hand in choosing exterior and interior colours, and trim. Now, though, Porsche is promising that further limited edition cars will emerge from its Exclusive department. To celebrate 25 years of Exclusive, the Porsche museum is hosting a special exhibition showcases some of the department’s greatest achievements (and one or two dubious additions). 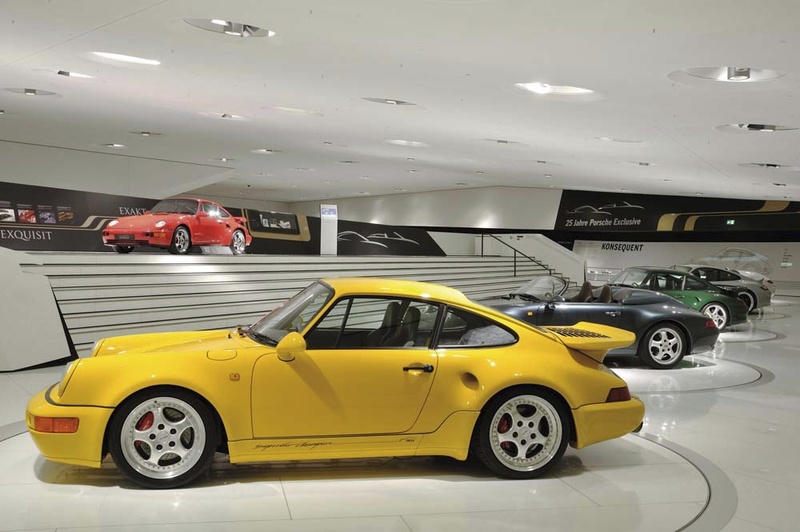 Examples of the Exclusive special editions are on display, plus some Porsches that were built to customers’ desires. Anyone for a gold-painted 959 with gold-plated tailpipes?